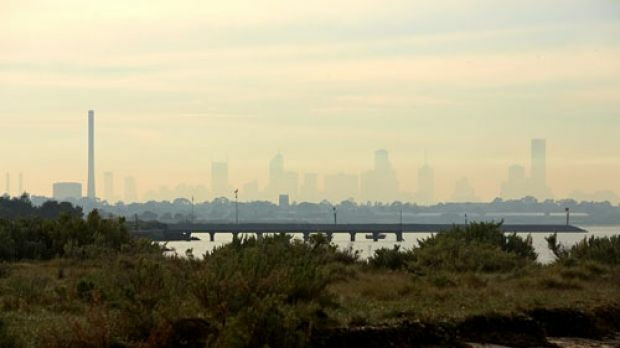 Melbourne’s air quality will continue to be so poor over the weekend, the Environmental Protection Agency has issued a warning for asthma sufferers. 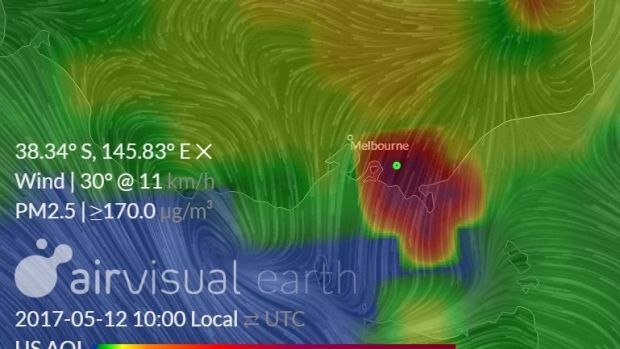 On Friday morning, air quality tracker AirVisualEarth showed that Melbourne’s PM2.5 levels (smoke particles) were higher than those in Shanghai, China. The EPA issued the warning, saying there would be poor air quality in with a band of haze over parts of Geelong, Melbourne and the Latrobe Valley. People at risk include those over 65, children 14 years and younger, pregnant women and those with existing heart or lung conditions. People with asthma should follow their asthma management plan, the EPA said. It warned those at risk to reduce prolonged or heavy physical activity and, where possible, limit the time spent outdoors. EPA group manager of applied sciences Dr Anthony Boxshall said the plummet in air quality was a result of combination of factors including current weather conditions and an increase in people sparking up wood fire heaters due to the chilly weather. 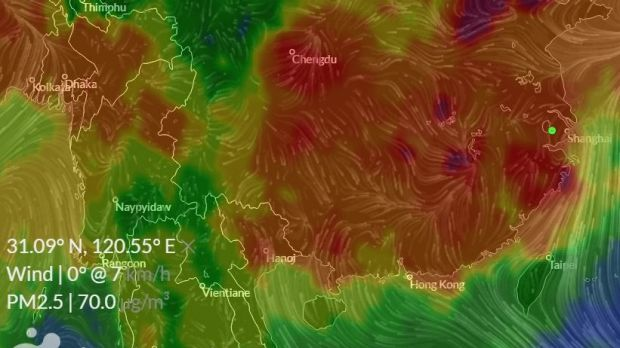 Stable weather conditions, namely a lack of wind, has resulted in a build-up of PM2.5 in the atmosphere, Dr Boxshall said. “Our environmental conditions are a combination of everything the environment throws at us and what we throw at the environment,” he said. In Victoria in November nine people died and thousands were hospitalised due to the world’s worst recorded thunderstorm asthma event. However, Dr Boxshall said this weekend’s conditions were completely different to thunderstorm asthma. “Thunderstorm asthma was pollen which of course isn’t a pollutant it’s a naturally occurring event this is way less dramatic than that,” he said. Dr Boxshall added health authorities and hospitals had so far not recorded an increase in people presenting with respiratory problems. However, smoke from household wood heaters, motor vehicles and other urban sources have worsened conditions. PM2.5 particles are tiny fragments, which are up to 30 times smaller than the width of a human hair. The EPA has advised anyone with a heart or lung condition to take their medication as prescribed by their doctor. Anyone with concerns about their health should seek medical advice or call NURSE-ON-CALL on 1300 60 60 24. For further information on air quality visit EPA’s website at www.epa.vic.gov.au/airwatch.